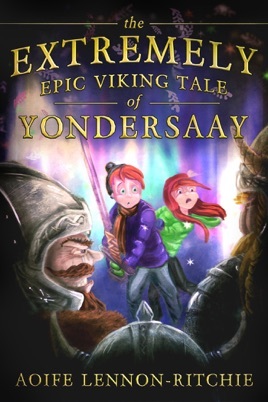 This enchanted tale full of high adventure, buried treasure, villainous treachery, violent ends, and true love, begins when siblings Ruairi and Dani Miller visit their grandmother in the legendary Viking island of Yondersaay. In less than 24 hours of their arrival, Ruairi is mistaken for the lost Boy King of Denmark, kidnapped by Vikings, and scheduled to be sacrificed at sundown. Granny isn't very pleased. But when they are the only ones in town who fail to go "Viking," the three turn to Granny's extremely epic tales of the legends of Yondersaay, The Gifts of Odin, and King Dudo the Mightily Impressive for clues. But not all stories end happily, and Ruari, Dani, and Granny will have to write their own happy ending if things are to return to normal.